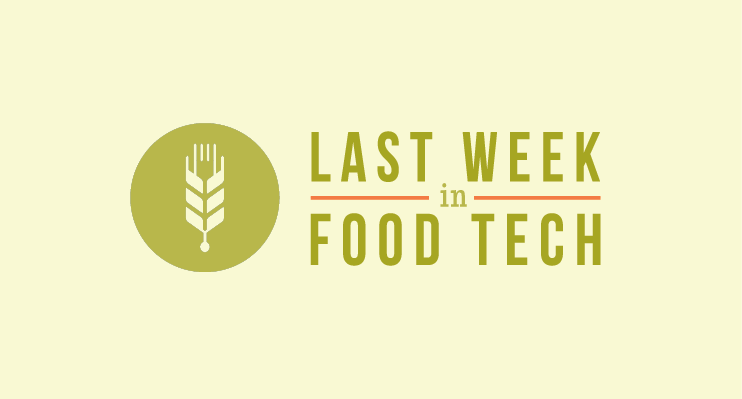 From the whopping $1.6 billion invested in food tech startups last year to rapid growth in the online grocery delivery space, these are our top 6 picks from last week in food tech. Like what you read? Feast your eyes on the full roundup here. Or better yet, sign up for our newsletter and get the latest and greatest in food tech delivered to your inbox every week. Increasing deal activity and deal sizes in the food tech and food media space resulted in $1.6b of investment in 2013 and $2.8b over two years. There were 8 notable food tech media acquisitions and 8 investments, for a total of $54 million in investment, in December 2013. It’s been a whirlwind year for Food Genius, which launched in 2011 but didn’t start selling its data in earnest until last January. The company raised another $1 million last fall, led by Hyde Park Venture Partners and including Pritzker Group Venture and Chicago Ventures. “Never set foot in a grocery store again,” promises Instacart on its website. Given the rapid pace of its expansion — the startup announced last week that it’s adding seven more cities in the San Francisco Bay Area — those grocery-storeless feet may someday belong to you. Drizly Inc., a Boston-based maker of an alcohol delivery mobile app, on Wednesday announced raising $2.25 million in seed funding from investors including Atlas Venture. A new collaboration between KPN, a telecommunications and ICT service provider in the Netherlands, and Dyzle BV, provider of measuring and analyzing business process data for the cold chain in real-time, is introducing a new platform for real-time monitoring solutions for the food and pharmaceutical industry.